GSR Kawasaki rider targeting suspension and braking improvements. Glenn Scott believes an additional private test this Friday at Sydney Motorsport Park will play a crucial role in setting up his season for success. 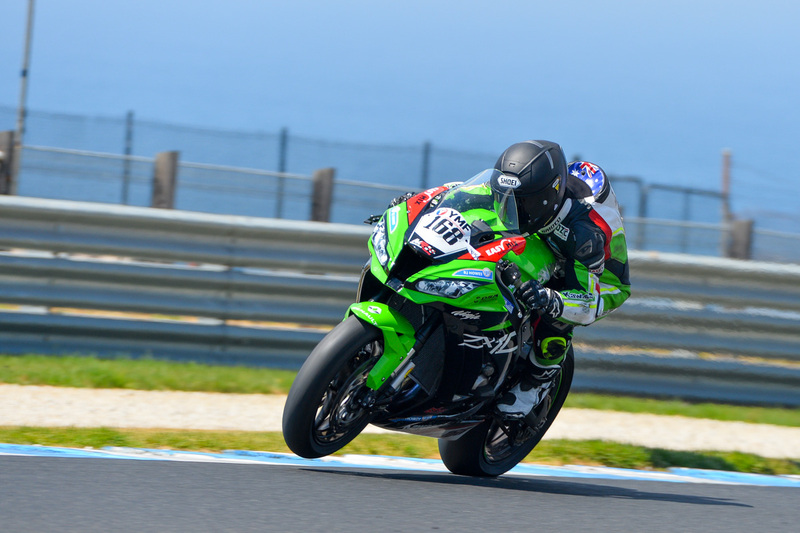 The privateer rider wound up 18th on the overall timesheets at last weekend’s Australian Superbike Championship (ASBK) test in Phillip Island, sampling a new tyre from Pirelli for the first time aboard his Kawasaki ZX-10R. “Friday will be great to get on the bike again,” Scott explained. “Any ride time for us right now is valuable and we still have plenty to test. Friday, we will be trying some new valving in the front forks and also some parts to help improve our braking. “There is no denying we struggled to find a set-up over the two days at Phillip Island, hovering around the P15 mark all weekend. Lack of testing over the summer break really caught myself and the team out, as most teams seemed very comfortable on arrival to the island. The ASBK kicks off on 21-24 February at Phillip Island, running conjunction with the FIM Motul Superbike World Championship (WorldSBK) opener.